TDC International AG (“TDCI”) is pleased to announce the successful collaboration with GASCADE Gastransport GmbH, which operates one of the largest natural gas infrastructures in Germany, on certain trenchless sections of the EUGAL project. The new European Gas Pipeline Link (EUGAL), expected to start flowing at the end of 2019, will receive natural gas from the planned Nord Stream 2 and is intended to strengthen the supply of natural gas to Germany and Europe. GASCADE Gastransport GmbH is responsible for the construction of EUGAL and its future operation and holds 50.5% shares. The other shareholders consist of Fluxys Deutschland GmbH (16.5%), Gasunie Deutschland Transport Services GmbH (16.5%), and ONTRAS Gastransport GmbH (16.5%). TDCI was contracted by GASCADE to coat 376 pipes (almost 7km) of DN 1400 for certain trenchless installation sections of the pipeline, with a customized pau wrap® GRP-coating specified by GASCADE. 270 of these pipes were additionally equipped with pau wrap® GRP-spacers for installation in micro-tunnels. For more information on TDCI’s participation on EUGAL, please click here. TDCI is proud to announce the completion of our collaboration with BONATTI J&P AVAX S.r.l. on a section of the Trans Adriatic Pipeline’s Greece segment stretching about 1.1 kilometres consisting also of two river crossings under the Aliakmonas river using a Direct Pipe® system. Due to the tough terrain, TDCI was approached by BONATTI J&P AVAX S.r.l. to coat pipes (coated in our factory in Germany and transported by train to Greece) and field joints (coated on-site) with our proprietary application pau wrap®. According to the customers specifications and tough geological conditions, we coated the pipes and field joints with a customized 7mm pau wrap®. For more details on the project and our involvement on the Trans Adriatic Pipeline, please click here. TDC International is proud to announce that we have recently joined the Italian Association for Trenchless Technologies (IATT). IATT, affiliate of ISTT (International Society for Trenchless Technologies), is a non-profit association that focuses on promoting, developing and applying trenchless technologies in governmental organizations, network agencies, universities, companies, etc. mainly within Italy. Their philosophy is to “discover and encourage the use of trenchless system for the installation and repair of underground pipelines, utilities and services”. 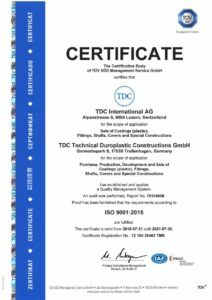 This membership further underlines TDC International’s strategy to become a global supplier to the energy and infrastructure industries and to establish our pipeline coating products internationally. TDC International is proud to announce that we have recently joined the National Association of Corrosion Engineers (NACE). NACE International is a global leader in developing corrosion prevention and control standards, certification and education. 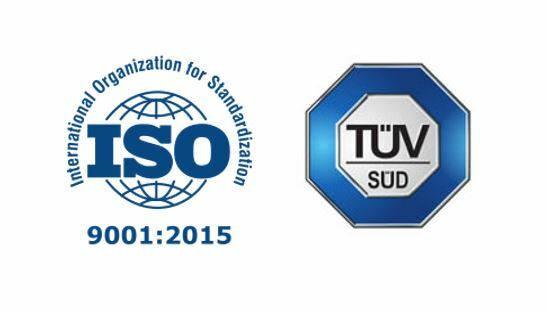 With roughly 36,000 members in over 130 countries, it “equips the society to protect people, assets and the environment from the adverse effects of corrosion” by offering technical training and certification programs, conferences, industry standards, reports, etc.